Some would-be writers think they can dash off an article without bothering to learn the basic rules of grammar. But just as any craftsperson spends time honing his skills to make the perfect piece of craft, so must a writer work hard to present an article that will be a pleasure to read and not shame him for its sloppy grammar and punctuation.True, some errors are typos, but doesn’t that reflect a certain laziness on the author’s part? An article should be closely examined for typos before it is sent off or uploaded. Don’t trust your spell checker. No automated spell-checker can alert you to every error. Whose and who’s, lose and loose, quiet and quite, its and it’s are all legitimate words, so there will be no red line under them. Spell-checkers are not clever enough yet to tell which one you meant to use. And if the error is not due to a typo, it means you need to keep a dictionary on hand to check anything you are uncertain of. Remember that when a word ends in “ ‘s” it means there is a letter missing. “It’s” means “it is”. If you are unsure which one you should be using, try saying the sentence both ways. “ It’s a good day today/ It is a good day today”. The latter example makes perfect sense, so it is okay to use “it’s”. Does, “It is burrow is over there”, make sense? No. Of course if you said, “The rabbit’s burrow is over there,” then the apostrophe denotes possession (and only one rabbit), not a missing letter. “The rabbits burrow is over there,” (with no apostrophe) means there are several rabbits. And just for the record, “loose” means not tight, while “lose” means you’ve lost it. “Quiet” means “hush”, while “quite” is an adverb (which should usually be left out). “I felt quite silly,” sounds better as, “I felt silly”. “I felt like an idiot,” may be even better. Sometimes rules of grammar get in the way of good writing. If this is the case they can and should be broken, otherwise your writing will become pedantic and even mechanical. One such rule is that a sentence should not begin with a conjunction. Both “and” and “but” can certainly be used to begin a sentence, or even a paragraph, but not to end one. Using either of these conjunctions to start a sentence can be a natural transition to carry the reader forward. A rule of style tells us to never use the same word twice in a sentence, but if you have to search for several other clumsy substitutes to do the job, then please repeat. Repetition of someone’s name is a little different. It can easily be replaced with “he” or “she” as the sentence progresses. A persistent myth masquerading as a rule tells us not to end a sentence with a preposition. Winston Churchill is supposed to have made fun of this by stating, “This is the sort of English up with which I will not put.” Of course a sentence may end with a preposition. A good rule is to write the way you speak. But unless you have grown up speaking English, ignore this rule too. · When writing an article, watch that you don’t repeat information unnecessarily. Even if you use different wording, it still gives the reader the impression that you think he was too dumb to get it the first time. 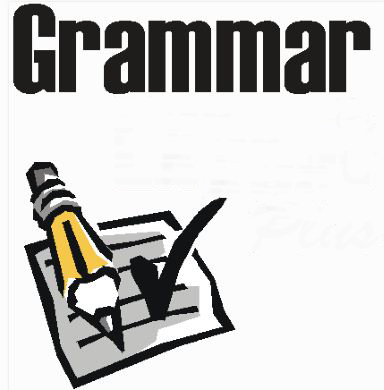 · Use short sentences more than long ones, but do vary the length. · Break up the text by using bullet points, or asking a question. Why? It will add interest and prevent your reader falling asleep – or simply turning the page. · Use short paragraphs too. This will make the job of reading it all seem much easier. In this fast-paced world readers are mostly in a hurry. If they come to a huge block of text with no white space, they’ll usually skip most of it. If you keep these tips in mind, your articles will keep both editors and readers happy.